Jon Stewart is taking on causes beyond "restoring sanity" when he leads dueling political rallies on the National Mall later this month with Stephen Colbert. "The Daily Show" host announced Monday on NPR that he will ask attendees at the Oct. 30 rally to donate to help restore the National Mall. The park has a $400 million backlog of deferred maintenance. On his rally website, Stewart says "we're a little afraid that you might make a mess." 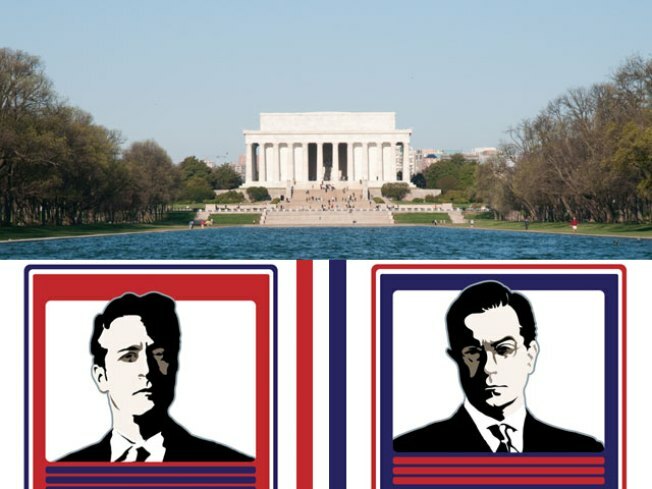 The Trust for the National Mall said Stewart's production company contacted the Trust during the last week in September to let the organization know about the decision. "The idea is to help defray the cost of any damages they may incur during the event," said a Trust spokesperson. The Trust said it doesn't know how much potential cash could be brought in, but "it's a fantastic opportunity to raise awareness about the need to restore the National Mall, and we hope it won't just raise donations, but also interest in the Mall's renovation and restoration." Meanwhile, Colbert, host of "The Colbert Report," is taking a different route, asking attendees at his "Keep Fear Alive" march to donate to Donors Choose, which raises money for school supplies.